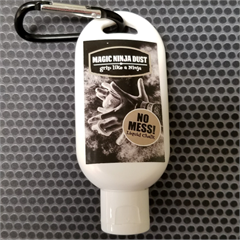 Magic Ninja Dust was created out of a persistent need to replace the mess and overuse of traditional gym chalk. Chalk dust was all over the gym, clothing and the athletes--except for their hands! As I watched athletes return to the chalk bin time and time again in the same workout I knew there had to be a clean, more efficient way for Ninjas to keep their hands "Chalky". 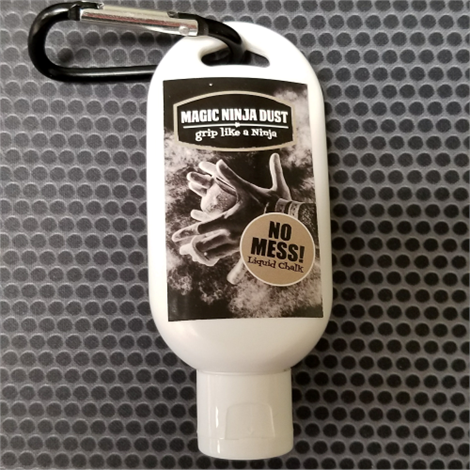 Magic Ninja Dust was born! 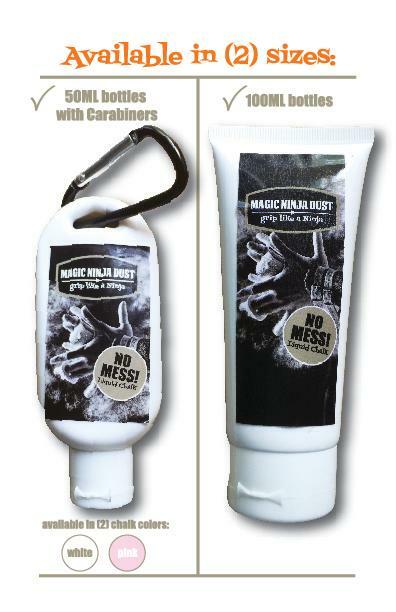 No dust, sweat-proof, long lasting and cost effective! Goes on like a lotion--and--dries like a powder! 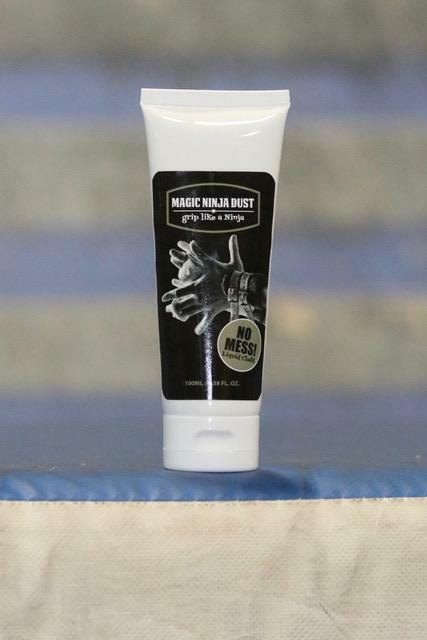 Now being used in gyms coast to coast and overseas by professionals and kids in ALL types of gyms- Magic Ninja Dust is changing the way we work out! 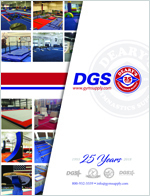 And...For gym owners--less time cleaning up chalk and equipment!! Not just for Ninja workouts!! Great for Cross-fitters, Gymnasts, Weightlifters and...any sport or activity that uses traditional chalk! !